Tel Aviv has the highest number of tech startups per capita in the world. Considering Israel has a population of only 8 million, the innovation seeding in the coastal city is extraordinary, where industry strengths lie in cybersecurity, artificial intelligence and computer vision. As San Francisco rent soars, perhaps it’s time for Silicon Valley entrepreneurs to jump ship. 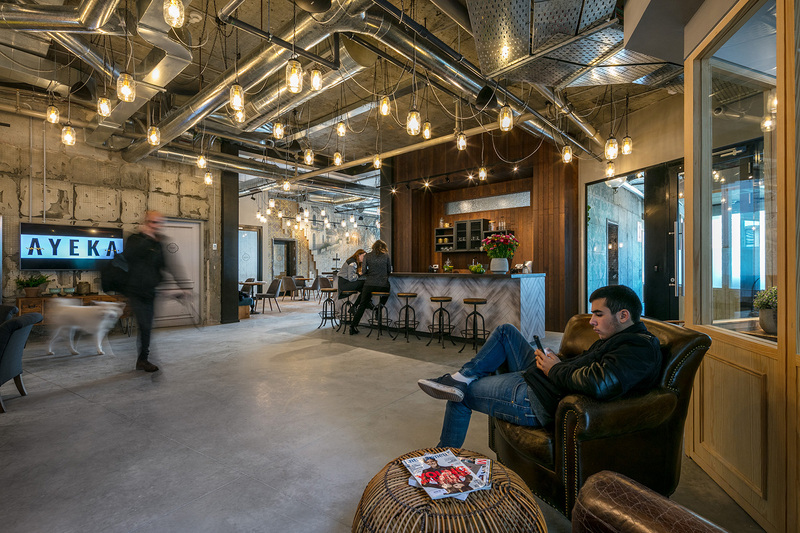 Consequently, new co-working spaces are popping up within Tel Aviv’s 20 square miles every month. Here are 4 that stand out above the rest. Architects saved Herzl 16’s derelict building from rubble. 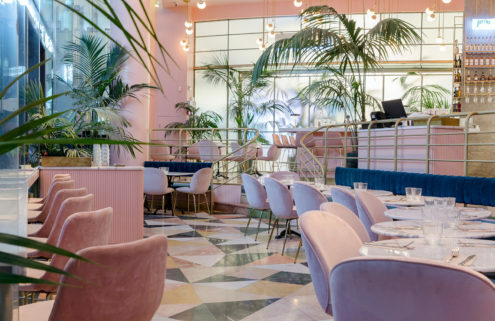 Once the first commercial mall (and lift) in Tel Aviv, the space now serves as an office for creatives, such as architects and designers. The arterial iron frame leads up four stories from the ground floor courtyard, which acts as the lively, beating heart. 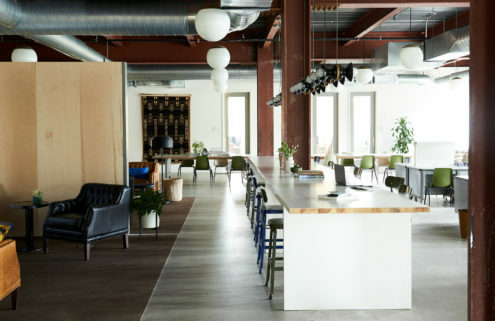 Ayeka is a ‘private member’s club’ that aims to be agile for a variety of workers, not just freelancers, with furnished studios, large cosy suites and shared desks. Popular with journalists, artists, and bloggers, it boasts a swimming pool, gym, broadcasting studio, library, showers and an outdoor patio. With locations across the globe, the team behind Tel Aviv’s two Mindspace outposts put a distinctly Israeli stamp on the duo of buildings by using local street art. Ehad Haam was once an old stock market building with five floors and a rooftop, whilst Mindspace’s HQ is found in the sister Rothschild building. Books and records from nearby flea markets fill shelves, and there’s an in-house coffee bar, gym and weekly yoga classes on offer. 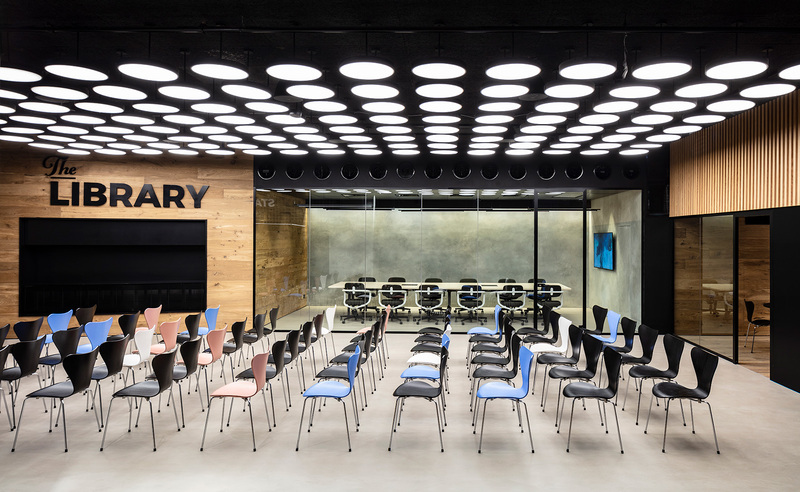 Designed by Kimmel Eshkolot Architects, Start-Up Nation Central Headquarters has opened in the city’s tech district, its mission to connect the world to Israel’s burgeoning technology. 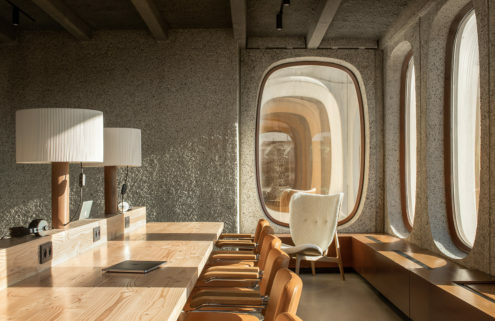 It sits inside a six-story glass building – parts of which house collaborative and work areas for select start-up tech companies – and offers views of Tel Aviv’s skyscrapers and surrounding 20th-century buildings. Wooden finishes and barriers follow traditional professional design whilst open flow sections encourage socialising and collaboration.